Large Cargo Drones During Loading And Unloading Containers In The Terminal. 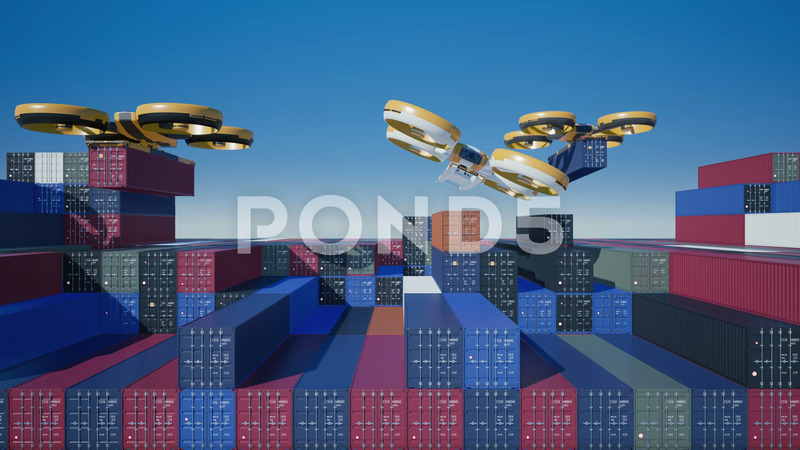 Description: Large cargo drones during loading and unloading containers in the terminal. Loopable 4k 60fps animation with alpha matte.